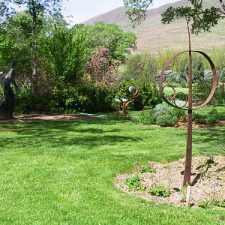 Maryhill’s gardens are an oasis of green within the stark, dry landscape of the eastern end of the Columbia River Gorge. 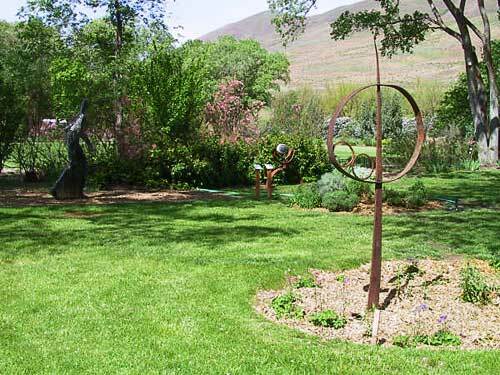 Although never fully realized, Sam Hill’s early plans for Maryhill included formal gardens in the European style. 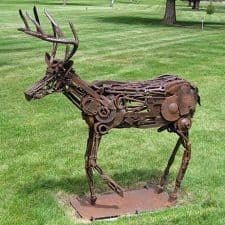 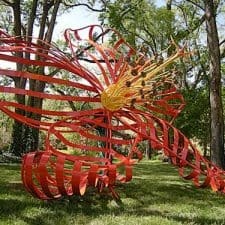 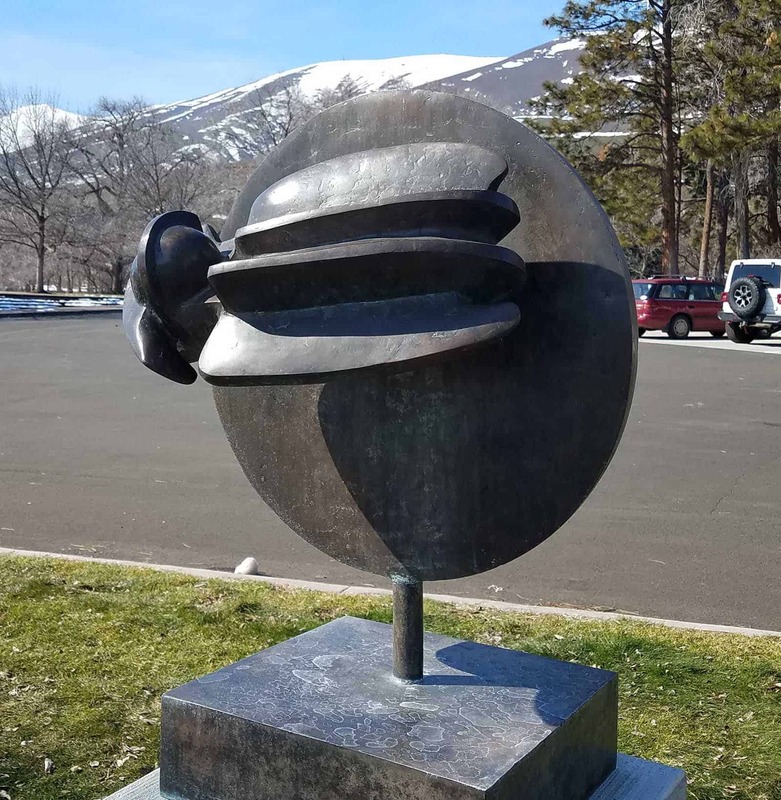 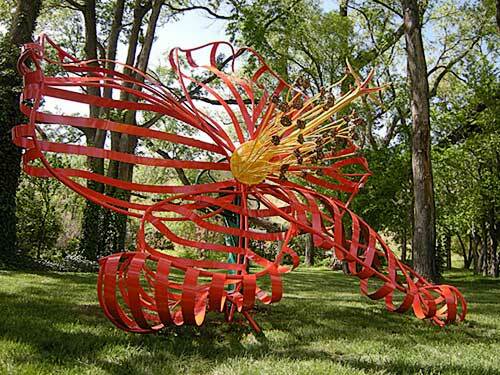 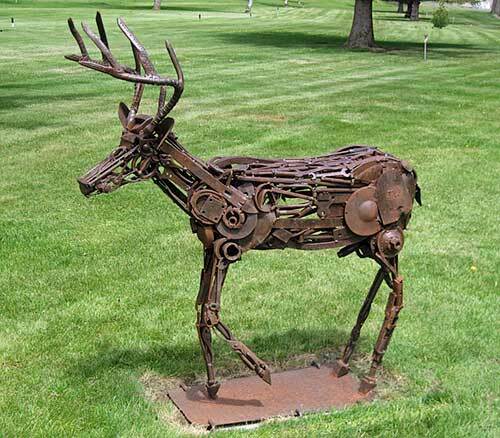 Today the museum is surrounded by several expansive lawns, shade trees and picnic areas, and the William and Catherine Dickson Sculpture Park, where visitors can enjoy installation of large-scale outdoor sculpture from the museum’s permanent collection. 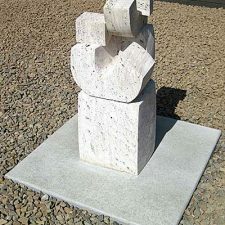 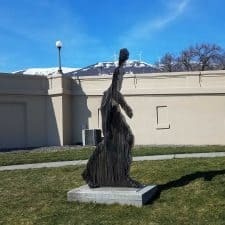 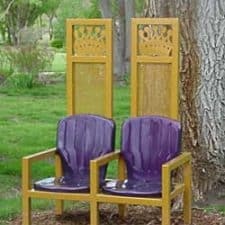 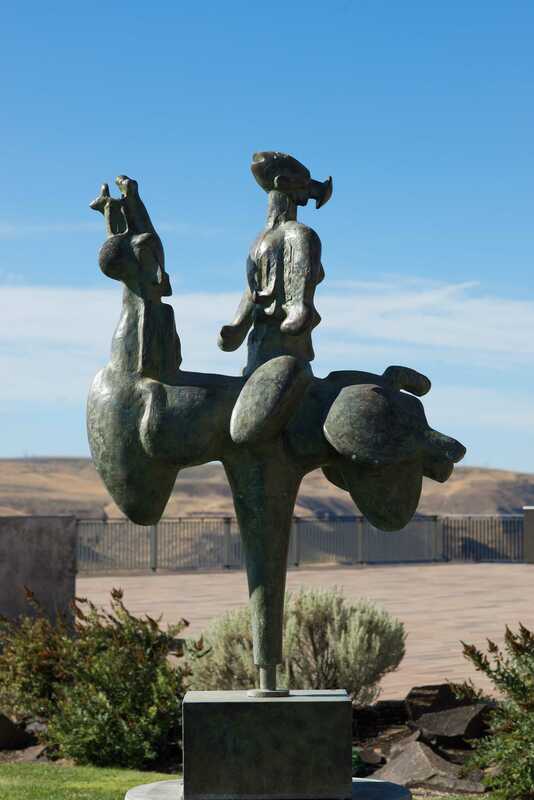 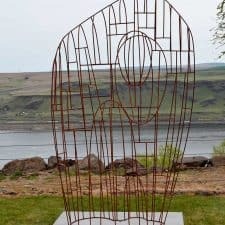 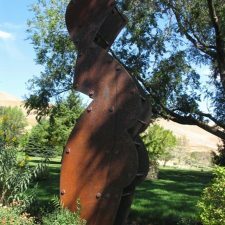 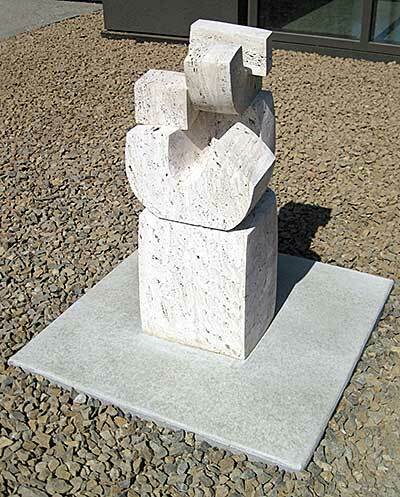 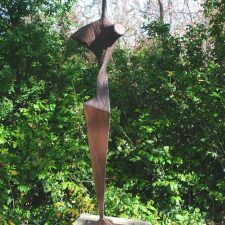 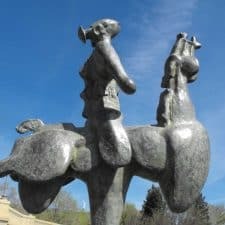 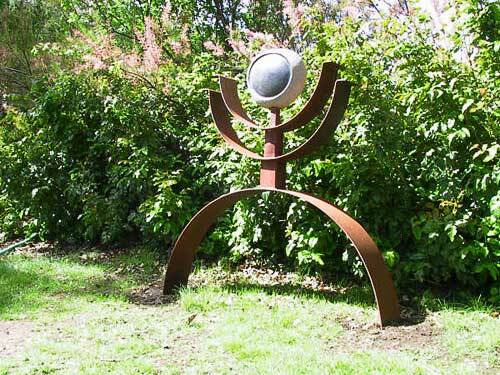 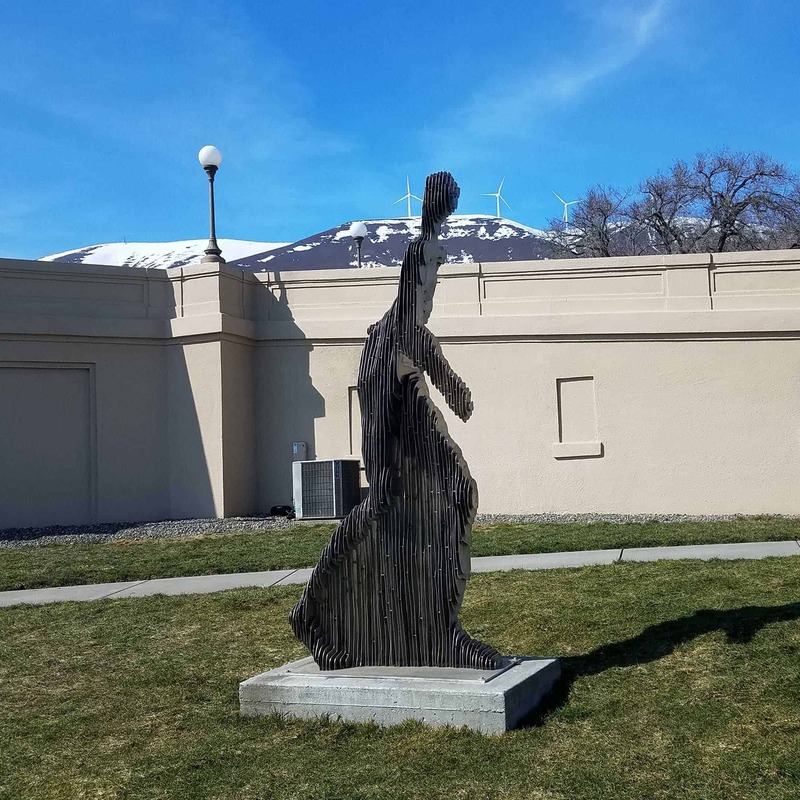 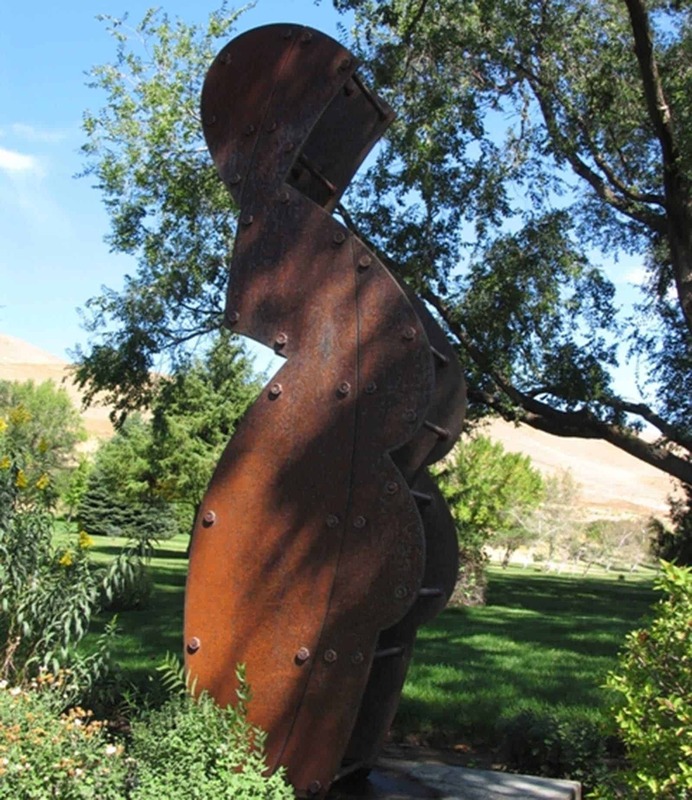 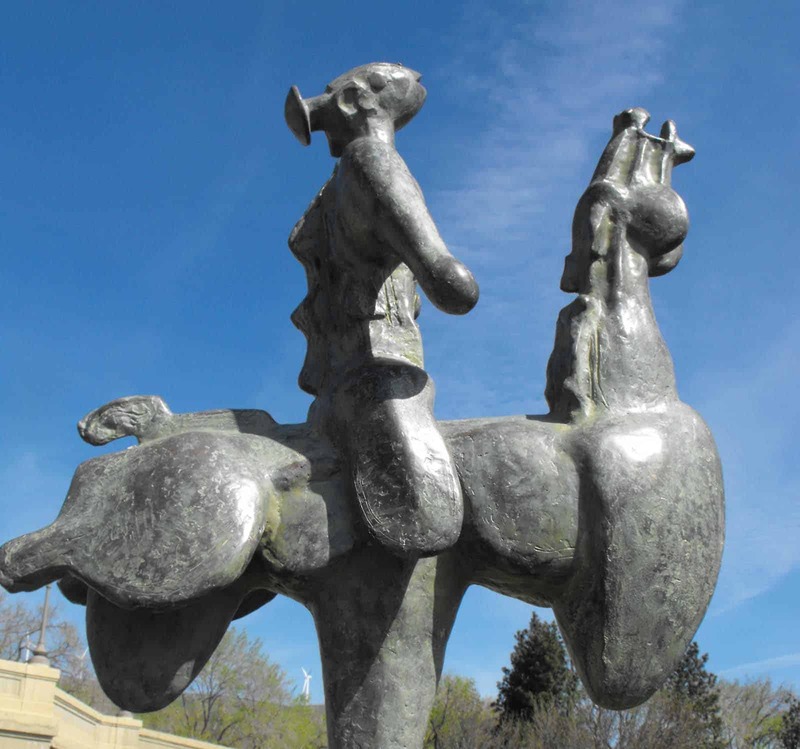 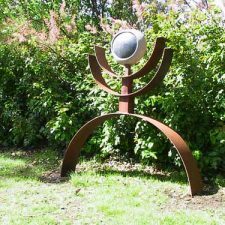 The genesis of Maryhill’s outdoor sculpture collection was an Outdoor Sculpture Invitational started in 1996 to complement the museum’s collection of Auguste Rodin sculptures and to give Northwest artists an opportunity to exhibit large-scale works. 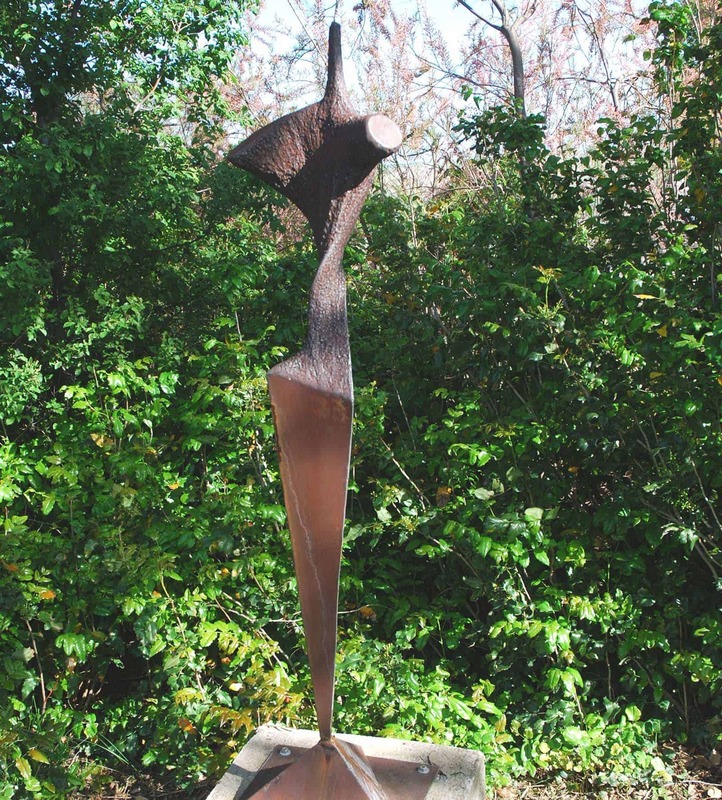 The success and popularity of the Invitational inspired the museum to create a permanent collection of outdoor sculpture for display in its gardens and on its grounds. 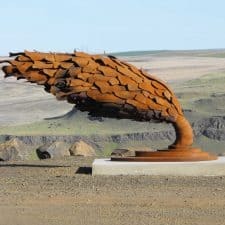 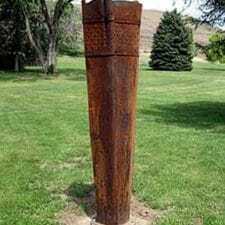 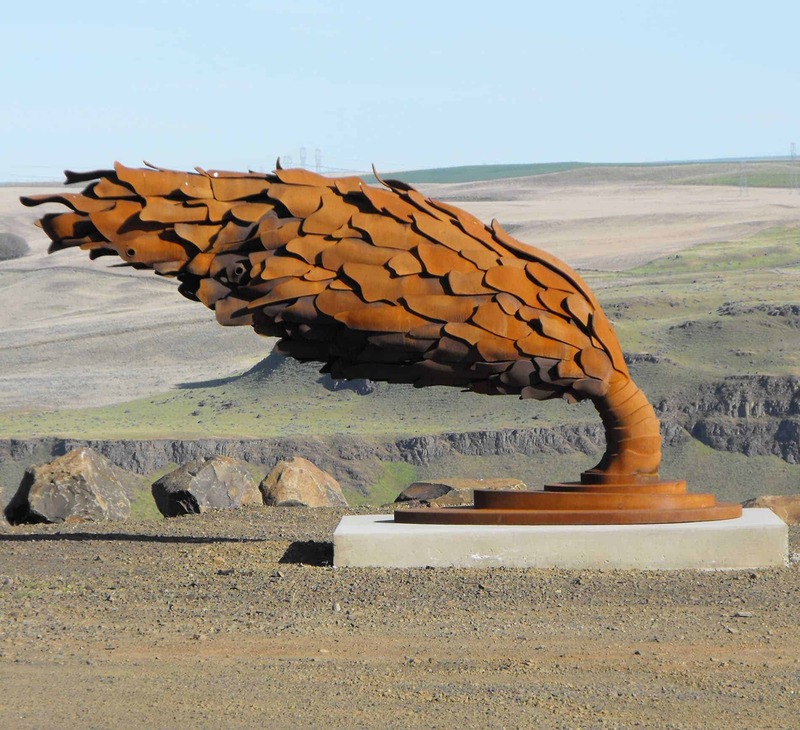 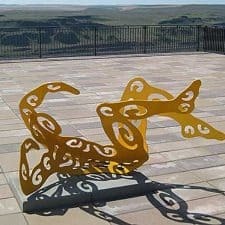 The collection of outdoor sculpture began in 1997, with the commission of a site-specific sculpture by noted architect Brad Cloepfil who created Maryhill Overlook as the first in a series that was conceived as the Sitings Project. 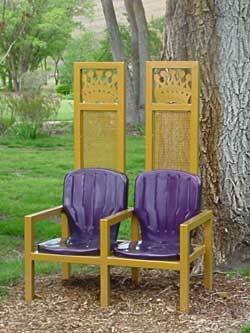 It is the focal point of the museum’s Lewis and Clark Overlook and Native Plant Garden. 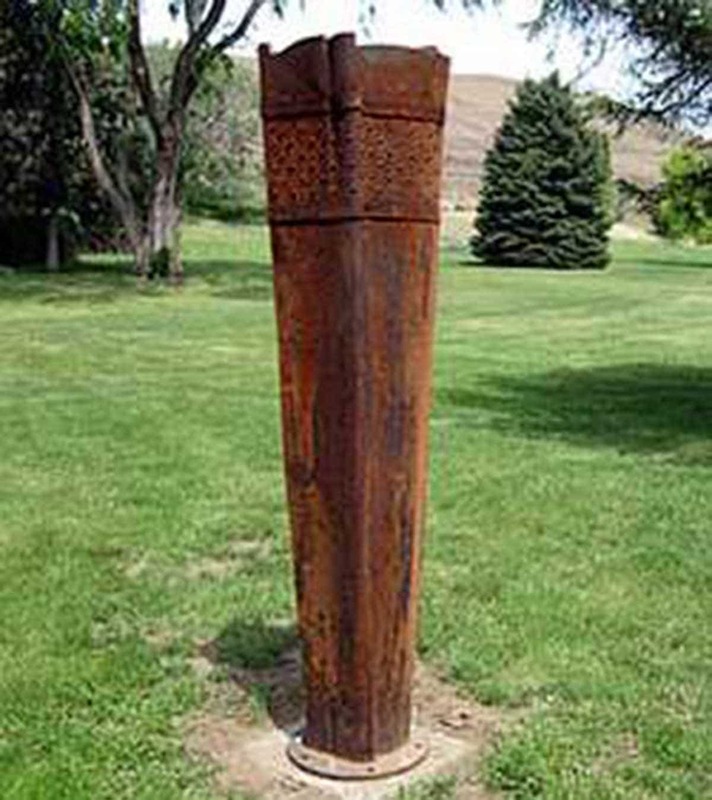 In addition to this monumental piece, visitors to Maryhill can see sculptures by some of the Northwest’s best-known artists, including Mel Katz, Matt Cartwright, James Lee Hansen, Leon Wright, Devin Laurence Field, Julian Voss-Andreae, Ken Hall, Tom Herrera, Alisa Looney, Jill Torberson, Don Wilson, and Jeffery Weitzel, among others. 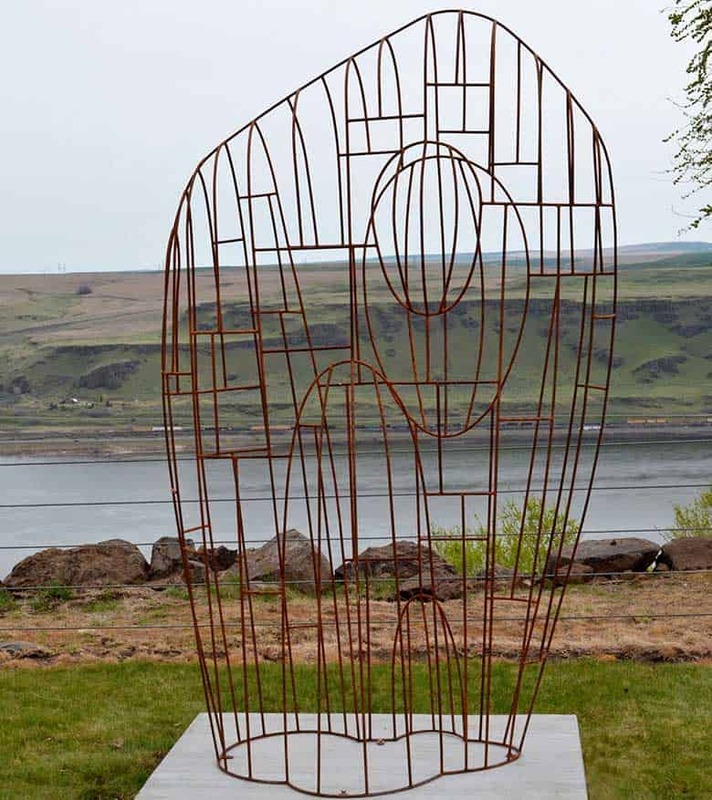 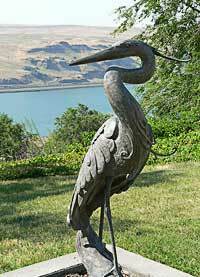 The museum’s outdoor sculpture collection appears throughout the gardens, along the walkways overlooking the Columbia River Gorge and on the Cannon Power Plaza, south of the museum’s main entrance.